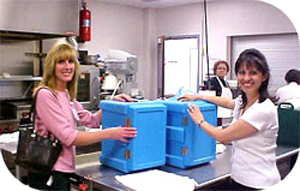 Pinal-Gila Council for Senior Citizens and local senior centers delivered 114,537 Home-Delivered Meals from July 1, 2002 to June 30, 2003. This is an increase of 20,612 meals over the past 2 years. This increase is due to a 253% growth in our senior population since 1980 and an increasing number of frail and ill seniors needing meals. To help meet this need, PGCSC invites individuals of any age and staff from community agencies and local businesses to deliver meals to homebound seniors. We are asking volunteers to deliver meals during their regular lunch time, one to two hours a day at least three days a month. Volunteers will make a great difference in the lives of homebound frail and ill seniors in Pinal and Gila counties. You are desperately needed ! It’s not necessarily true that “too many cooks spoil the stew”. 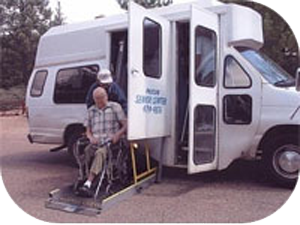 Many hands are needed to provide services at local senior centers. 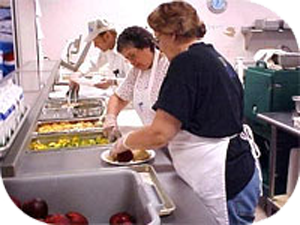 Help is needed in the office, for registration, to answer the phone, serve the meal, clear tables, deliver homebound meals, and to assist with recreational programs. If you have time and talents to share, contact your local senior center for more information.